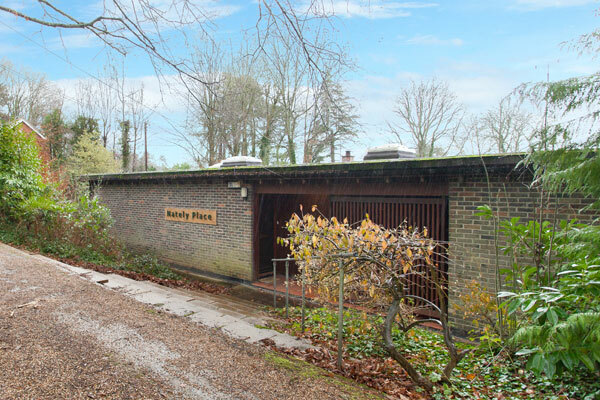 It has been updated here and there, but this 1960s modernist property in Hook, Hampshire is still an interesting proposition. One thing I?m confused about with this one is that it seems to be listed twice, as two different ?projects?. The first is as land with planning permission to build an entirely new modernist house. The second is ?as is?. Obviously, I hope someone sees the merit of just upgrading the house as it is. It isn?t perfect, but it is interesting and with enough original detail to turn it into something rather stylish. No architect sadly, but according to the agent, this is a ?largely untouched? 1960s modernist property in Hampshire. Im not sure I agree with largely untouched, especially with some old listings from some years back (presumably the same house) showing a house that looked to be in far worse condition.